It is possible that some couples work out carefully the moment when they should conceive their offspring but the moment is, I would imagine, usually spontaneous. Hence birthdays are fairly evenly spread throughout the year. 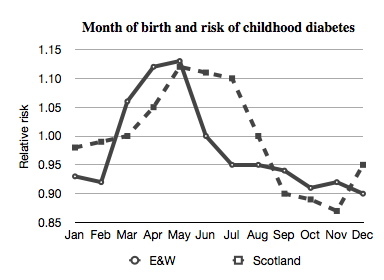 But perhaps we should more carefully about conception as it is clear that babies born in the late autumn and early winter have significant health advantages. This was known to pre-Christian pagan people, hence the spring festival of Easter is the name derived from Oestre the pagan goddess of fertility. Maypole dancing is another spring fertility rite. 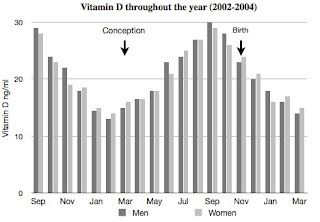 The point is that pregnancy during the summer means that the developing baby receives across the placenta the maximum quantity of vitamin D, much more than if its gestation were during the winter months. Vitamin D is very important for the developing baby, the benefits extending into adult life. The main benefits are biological. An autumn-born baby has a reduced risk of developing diabetes in childhood and multiple sclerosis as an adult. 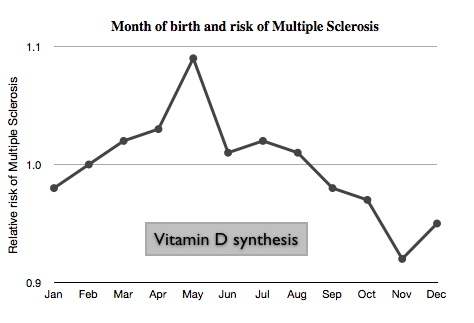 Schizophrenia is more likely to occur later in life in a baby born in the spring and summer. This is also true in Australia, the disadvantage months there being October–December. There is no variation in Singapore, which is on the equator. 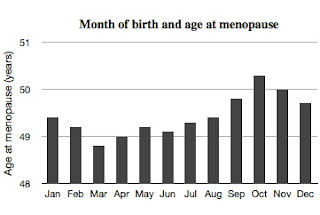 A little girl born in the autumn will have about 50 years later, on average a later menopause than if born in the spring, and a late menopause is biologically a good thing. Sporting champions tend to have on average an autumn birth. Then there is educational achievement, but here we find a confounding factor. The school year in Europe starts in September. This means that a child with a birthday in October-November will have age advantage over a child born in July–August. At the beginning of schooling this gives almost a full year advantage, almost 20% of lifespan at that age. After several years of school the age advantage will be lost, but the vitamin D advantage will continue.